Now that you've printed, be sure you don't miss a thing! New recipe (almost) every Sunday. 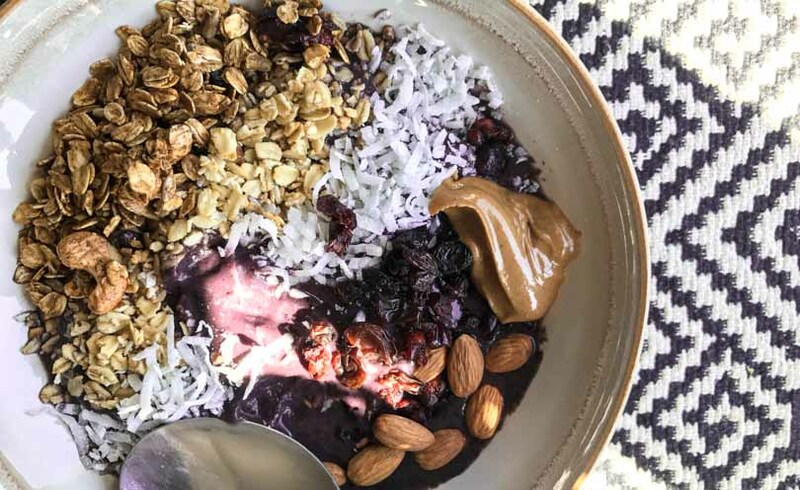 A flavorful base for all of your favorite smoothie bowl toppings. If you’re making a smoothie bowl, you want it thick. The point is to have a base that’s dense enough for your toppings to float upon. So don’t over-blend. You want a texture somewhere between smoothie and frozen dessert. The point is mixing crunchy with sweet. The more toppings and textures, the better! We know that Costco carries Acai packets, but recently we found out that if you REALLY dig in the freezer section, that Trader Joe’s does too! As always, we’re sure you can get the packets at Whole Foods and other natural foods stores as well.